It's been a huge week for the sale at auction of guitars previously owned by major artists. 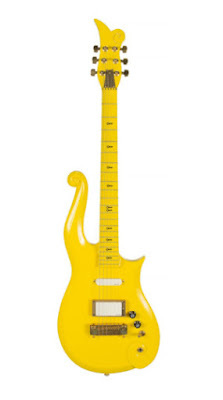 On Friday (May 18), Julien's Auctions held their Property From the Life and Career of Prince auction at the Hard Rock Cafe in New York with a packed crowd of music collectors and the Purple One's super fans bidding live on the floor, online and on the phone across the globe. Top selling items was Prince's custom made played yellow Cloud guitar which sold for an astounding $225,000 (pictured above right) well over its original $60,000-$80,000 estimate. 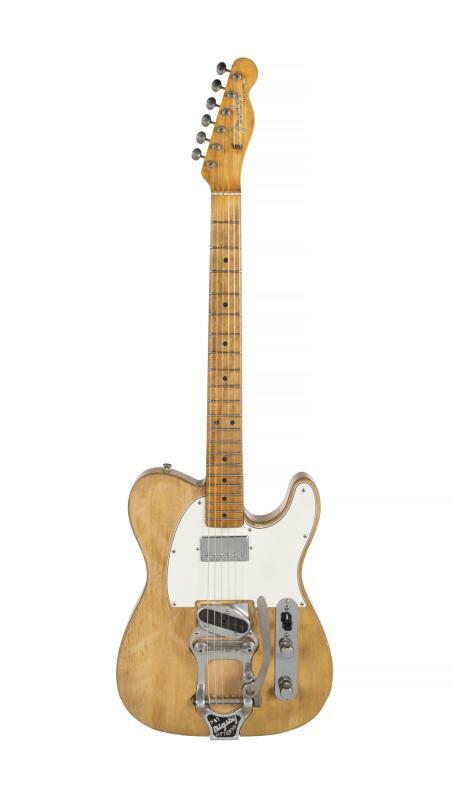 Then, yesterday (May 19), Julien's held their Music Icons auction which included an even bigger guitar sale. The guitar that Bob Dylan played on his first electric tour, which was actually owned by Robbie Robertson and loaned to him numerous times, went up for auction and sold for an incredible $490,000. A portion of the proceeds for the sale went to the American Indian College Fund.